The devastation of flooding affects millions of property owners every year in the United States alone. 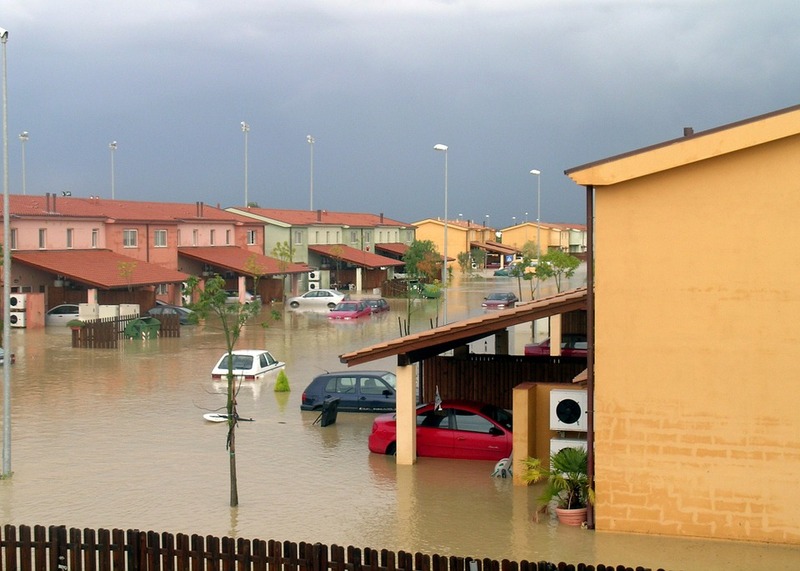 This natural disaster is one of the leading causes of property damage – flooding can occur at any time of the year and from many different environmental factors. It is estimated that up to 90% of all natural disasters include some damage from flooding events. Many homeowners believe that their current home insurance is sufficient to cover damage from flooding. This is incorrect. Property owners need to learn the basics of flood insurance, including how it works, what it covers, and how they may obtain these vital insurance policies. Over the years, many misconceptions have arisen over flood insurance. The first, and most critical, misconception is that flood insurance is not needed if one owns property outside an established flood zone area. Flood insurance is a smart investment; climate change and unusual storm activity in recent years points to the fact that flooding can strike anywhere and at any time. Flood insurance is offered through the Federal Emergency Management Administration (FEMA) under a special program known as the National Flood Insurance Program (NFIP). Many private insurance companies can help property owners obtain flood insurance, including something called excess flood insurance that extends the maximum coverages provided by the government flood insurance policy. Flood insurance is expensive – because flood insurance is a specialized type of insurance policy and is backed by the government, many people naturally assume that it is expensive. In fact, insurance agents know that flood insurance is surprisingly affordable. For NFIP-backed flood insurance policies, the average annual premium is about $112. This equals about ten dollars each month. Premiums for properties located in flood-prone areas tend to be higher, but still far less than people think. The maximum coverage provided by NFIP insurance policies is $110,000 for loss of property inside the home and $250,000 for the structure itself. Insurance agents can also draft an excess flood insurance policy to increase coverages, which can be beneficial for people with expensive homes in flood-prone areas. Regular homeowner’s insurance covers flooding – this is unfortunately not true. Most homeowner’s insurance policies cover a range of natural disasters, but flooding is not one of them. If you rent your residence, be advised that renter’s insurance doesn’t cover property losses from flooding either. Only flood insurance provided by FEMA and the NFIP are designed to cover property losses and damage due to flooding events. Flood insurance is hard to obtain – knowing that flood insurance is available through government-backed programs, isn’t flood insurance hard to get? Actually, no it isn’t; hundreds of insurance companies across the United States write flood insurance policies in today’s market. Local insurance companies can help property owners find the right policies and the appropriate coverage for their specific needs. Any property owner or renter that lives in a flood-prone area is eligible to get flood insurance, provided their community participates in the National Flood Insurance Program (NFIP). Speak to an insurance agent near you to learn more about flood insurance and available coverages for your property.